Budget “clear attempt to hoodwink the Irish people’ says Sinn Fein Sligo – Leitrim general election candidate, Martin Kenny. Cllr. 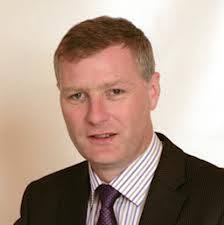 Martin Kenny, Sinn Fein Sligo-Leitrim general election candidate. Local Sinn Féin Councillor and General Election Candidate, Martin Kenny, has said that yesterday’s Budget measures provide little more investment in critical public services such as health and education, other than what is required to stand still in 2016 and falls far short of what is required. “It is clear to me that the Budget announced today is not only a blatant attempt to buy votes but also a clear attempt to hoodwink the Irish people. “Despite all the rhetoric and spin, the reality is that this Government clearly lacks the vision, ambition and hunger required to deliver the transformative changes required to enhance the lives of our citizens. They are content to simply stand still. “When the demographics and pay restoration measures under the Lansdowne Road are provided for, the reality is that this Budget only provides €18 million in new health spending and €24 million in new education spending – nowhere near what is required. “The Sinn Féin Budget proposal set out an additional €383 million to deal with the Healthcare crisis and an education package of €180 million. This is outside the €300 million the party set aside to address demographics and €267 million for the Lansdowne Road Agreement. “Our proposals would have increased frontline public services by approximately 6,500 new posts to include the following: 88 ambulance personnel, 500 nurses, 250 hospital consultants, 250 midwives,80 dentists, 120 dental nurses, up to 600 occupational therapists, physiotherapists, speech and language therapists and psychologists,1,000 new Gardaí recruits, approx 530 new teaching posts and 700 Guidance Counsellors. “Public sector numbers have been cut by 10% over the past seven years and areas such as health, education and policing are in desperate need of real investment in frontline posts. “€30 billion has been taken out of the economy during the recession and roughly two thirds of this was in spending cuts. “Despite being shown clearly the alternative by Sinn Féin, this Government has failed completely to provide the level of investment in our public services that is required and, in my view, they have let the citizens of this country down.